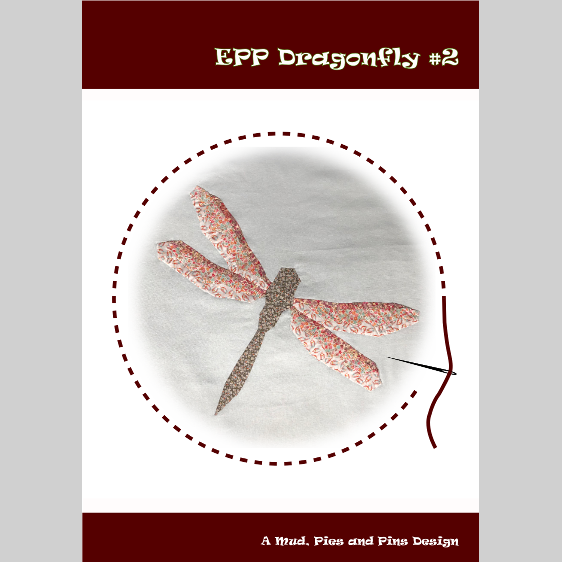 This English Paper Piecing (EPP) pattern will create a dragonfly that you can applique onto any number of projects. The finished dragonfly should measure approximately 15” wide and 10.5" high. The pattern is aimed at confident sewers who have some experience with EPP and who are happy to work with pieces of varying scale and shape. As such no instructions are given as to the basics of EPP. Similarly, I do not provide specific information on basting or piecing of the individual pieces as you are best to use the method you are most comfortable with. This dragonfly pattern has been designed to work best with lightweight fabrics such as Liberty Tana Lawn, other lawn fabrics and batiks. Quilting weight cottons would also be suitable.